Care Instructions Keep in cool and dry place. 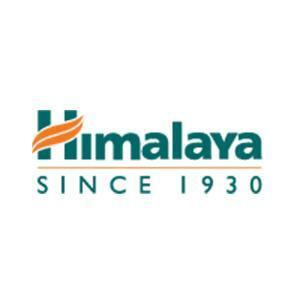 Since its inception, Himalaya has focused on developing safe, natural and innovative remedies that will help people lead richer, healthier lives. 1. 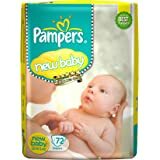 Lay the baby on a flat surface and remove the diaper. 2. Take a baby wipe and gently remove any poop or urine using the wipe. 1.0 out of 5 starsCauses rashes. Not recommended by Doctors. I ordered them looking at the reviews. My baby got rashes after using just for a couple of days. 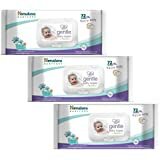 And after that I haven't met a single doctor or parent who recommends these or any kind of baby wet wipes. Every parent I met told me that their baby got rashes by using wet wipes. Every doctor I met told me to stop using them. I don't know how they have such great reviews on amazon. Don't use wet wipes. Use soft cotton cloth dipped in luke warm water and then a dry cotton cloth. And do not rub on baby's skin. Just gently tap. I ordered in bulk during the sale. 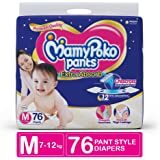 And as they are "NOT RETURNABLE", now I am using these to remove poop stains from my baby's clothes, sheets, nappies, etc. And I must say they are doing a wonderful job at that. The hard poop stains just vanish completely. This proves it has a strong soapy chemical. And they tell us to use such chemicals on baby's skin. They even say it is clinically tested. I wonder who they test it on. Just don't use them on your baby. It's definitely not made for them. Good product but just wish the cost is cheaper! 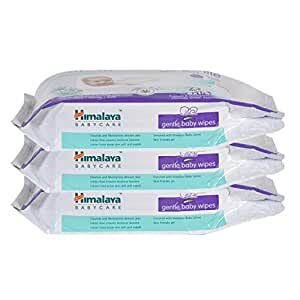 1) Quality is obviously good since it is of Himalaya brand. 2) It is very wet unlike some other brands which feel very dry. 1) Much expensive costs INR 1.75/wipe. Instead I would recommend you buy Babyhug brand. Quality wise it is the same or better than Himalaya and cost wise there is huge difference. 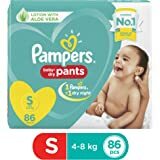 Babyhug costs just INR 1/wipe. 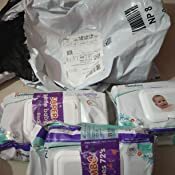 Buy only if Babyhug brand is not available on Amazon as was the case with me. 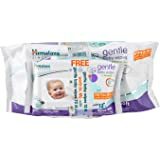 I have been buying himalaya wipes for quite long time and satisfied with it. It is very nice and no complaints in quality. It is moist enough, soft and nice fragrance. 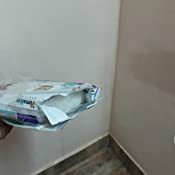 Two points to be noted is,some of the wipes does not come out easily which causes wastage. The packing is not so efficient and it goes out of sticking nature in 4-5 days. Quality wise, it is good and check out regularly if you get any deal on the price or special offers. 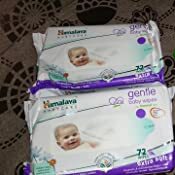 Was not genuine in my opinion , have been using same wipes for 3 months all good . Bought this from amazon - one word - Soapy . It was like wipes have been dipped in soap solution . Even just picking up with hands it will leave soap solution kind of liquid . 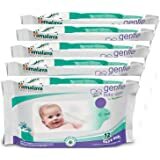 The genuine wipes are good , would suggest buying from somewhere else. When i recvd this item on 18th sept,2017 the item was opened. I am totally disappointed. 1.0 out of 5 starsworst product!! waste of money!! product not good. Customer service not good. even amazon customer service is pathetic. they do not have any knowledge - everytime they give different answer and at the end, they are of no use. Amazon A-Z guarantee is useless. Amazon pay balance is way to earn free interest on your money. 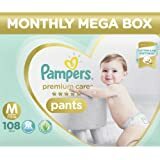 so please be careful - anyways there is almost no savings anymore buying from amazon compared to alternatives. Nice product but the pouch opening mechanism should be changed. The stickyness of the mouth doesn't last longer for this pouch since it has more number of swipes and you need to open, close it many times. As a result, the wetness of the swipes is lost very soon. 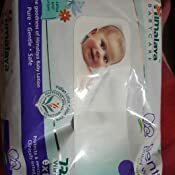 One of the best wipes brand in Indian market which is also a product of India. 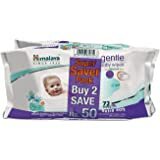 Super easy to clean using these wipes and has a lot of moisture content. Soft fabric is definitely one of the major pros of the product. The only con of this wipes is the packaging I guess the adhesive used around the re-sealable edges had to be a little stronger.